More SX tickets coming your way! 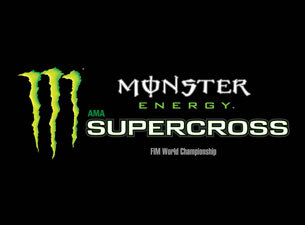 This week's tickets are for AMA Supercross at Lucas Oil Stadium, Indianapolis, IN! Facebook - Visit our Facebook page at http://www.facebook.com/ktmparts Like Us if you haven't done so already, and then Like, Share or Comment (or all 3) on the post announcing the Supercross Ticket Giveaway. Twitter - Follow @ktmparts on Twitter, http://www.twitter.com/ktmparts Simply Retweet our message announcing the Supercross Ticket Giveaway and you are entered! Two (2) tickets to the Monster Energy AMA Supercross at Lucas Oil Stadium, Indianapolis, IN on Saturday, March 12, 2011. The tickets will be mailed to your provided address via USPS Priority Mail on Tuesday, March 8, 2011. Watch for more Supercross Ticket Giveaways from Appalachian Offroad MC throughout the 2011 Supercross Series.